A place for me to write about the hard stuff. About hope. About kids and dogs, chickens and donkeys. A place for me to write about this life that I love. A place to share goodness and all the things that make me happy. The world needs more light. I pray I can shine some. Sunday marks the ten year anniversary of my mom’s death. She battled breast cancer for two years. In that two years she fought that disease with every ounce of toughness, strength and stubbornness she had. She was so brave and so resilient. She endured countless chemo sessions and despite that she continued to work a very stressful job that many people, on a good day, could not handle. She was not afraid of death. She was a woman of tremendous faith and she knew exactly where she was going, she just wasn’t in a hurry to get there. She had a higher pain tolerance than anyone I’ve ever met, but the pain that cancer inflicts on the body was too much for her to bear at times. She went into the hospital for the last time on January 9th, 2008, the same day that Brad, my first husband died. She was not expected to make it through the night on January 18th, the very night I went into labor with Brady. My brother and his family (who live an hour north) came down for two reasons. One, so that he could take me to the hospital because I was in labor, the second being that it was likely my mom’s last night on this earth. I was on the 4th floor in labor and my mom was on the oncology floor just one floor above me. My poor brother went back and forth from our rooms all. night. long. She rallied. She got her second wind, and she did make it through that night. The day I was to be released to take my baby boy home, my brother and I walked up to mom’s room so that she could see Brady. She held him. She was so proud and so happy. That is the last time I saw her. I should have gone back up there. I. Just. Couldn’t. I could not bring myself to watch someone else die, not even, or maybe especially, my own mom. It was just too much. She slipped into a coma and passed away on February 4th, 2008. I felt nothing. Absolutely nothing. I was so. numb. I sat through her funeral and did not shed one tear. But, I truly believe that God was protecting me from the pain, because we can only handle so much. We can only wrap our minds around so much loss and grief at one time. But, at some point we all have to FEEL THE PAIN of the loss in order to heal from it. There’s no way around pain. There’s only THROUGH IT. That pain finally came a few months later when I was at her house for the very last time. It hit me, HARD. All of the emotions that I should have felt, all of the anguish, anger, sadness…it came crashing down on me as I stood in her house one last time. That is the day I started grieving for her. It took a good year to get through that initial grieving period. A lot of tears. A lot of sadness and longing. Missing her made my heart hurt. But, slowly the pain, although still as painful when it hit, hit me less frequently. I miss her chicken pot pie. She made the best chicken pot pie. I miss her no-bake cookies. I miss her smile. I miss her hugs. I wish that I could wrap my arms around her and hug her just one more time. I miss her dirty jokes. I miss her strength. I miss her opinions. I miss her open minded nature that made her accepting of so many different kinds of people. She was such an understanding, empathetic, compassionate person. I miss her telling me all about her shopping trips and how many pairs of shoes she bought, or what new dishes she bought…or new lace for her table. Mostly, I miss that I didn’t go with her on more of those shopping trips. I miss her homemade ice cream and her chocolate milk shakes. I miss talking to her EVERY DAY on the phone. I miss hearing her say my name. Me and my mama, circa 2000. If I close my eyes and listen I can hear her voice. I miss hearing that voice. I miss walking in to her house and hearing Creedence Clearwater Revival or the soundtrack to Phantom of the Opera blaring on her stereo. I miss her giving spirit. Her gypsy soul and her love of adventure. I miss witnessing her faith. I miss her grit. Her toughness. I miss her when I’m sick and just want my mom. I miss her walking through my door. Telling me that she loves me. Calling me first thing on my birthday to sing to me and then telling me the whole story about my birth, just like she did the year before. My mom was not perfect. I am absolutely not perfect. We had our issues. Oh boy, did we have our issues. I will never truly be at peace with the fact that I could have been better, done more. She needed me and I wasn’t there. So. Many. Times. That is my burden to bear. Time does heal, if you let it, and I have let it for the most part. But there are times when the pain from missing her hurts just as much as it did the day it hit me she was gone. Like a ton of bricks. I miss my mom. I. Just. Miss. Her. And, more than anything, I just hope that she’s proud of me. Lord knows, I am so very proud of her. So appreciate all of you who take the time to read my posts. It is the most vulnerable I have ever felt. If you feel compelled to like, share, comment or subscribe, I would be so grateful. 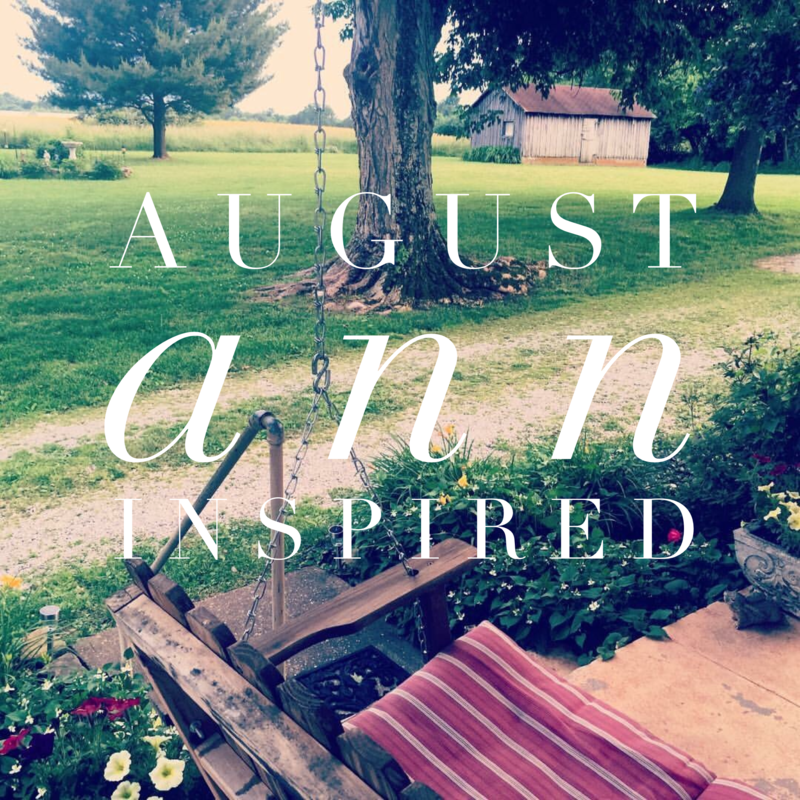 August Ann, thank you for sharing your innermost feelings. I am sorry for the loss of your Mother. I am a breast cancer survivor and I admire that you showcase your Mother’s determination to fight the ugliness of cancer! I love the picture of her and Brady. The joy shown on her face for him, is undoubtedly a reflection of the love she had for you! That was an absolute tribute to the woman your Mom was. What beautiful words and memories you have Katie. If I were to say one thing I miss the most is the way she said your name. I can hear it just like it was yesterday the way she said it. I have SO many beautiful memories of her thanks to you allowing me to be apart of your life. I have NO doubt in my mind at all……she is SO PROUD OF YOU! Katie this is beautiful just like you and your “big life” mom. I feel my life in Muncie was certainly enriched by you all..
Love that❤️ You two enriched our lives while you were here, without a doubt. I live in Greece and here we say … someone is left orphan when he loses his mother …. I am very sorry …. I’m glad for all the great things that he has bequeathed to you, and I wish that he beautify you and protect you and everyone you love!! A big hug I send you !! Thank you so much for your comment and kind words! I am so sorry for the losses you have suffered as well. Life is just not easy. Prayers and hugs to you!